Get ready for the next generation of wireless networks. The Federal Communications Commission (FCC) is ready to auction off access to the radio frequencies needed to operate the next generation of wireless networks, according to FCC Chairman Ajit Pai. All wireless devices communicate over the air via radio frequency, also known as wireless spectrum. Spectrum is finite, and certain radio frequencies can be used only for certain purposes. 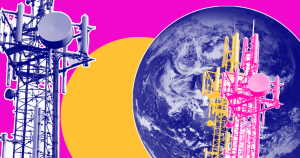 No two companies can send their communications across the same frequency on the spectrum from the same location simultaneously, so they purchase licenses from the FCC to ensure dedicated access to their respective frequencies. To operate 5G (fifth generation) wireless networks, which are expected to be 100 times faster than today’s 4G networks, companies will need access to very specific frequencies on the spectrum. During a speech at Barcelona’s Mobile World Congress, Pai announced plans to open up bidding on these highly desirable frequencies. According to Pai, the FCC will start accepting bids in the 28 GHz band in November 2018, with an auction of spectrum in the 24 GHz band following shortly after. However, the FCC will only be able to follow that schedule if Congress changes current legislation on how the government handles bidders’ pre-auction payments by May 13, Pai said. The most obvious benefits of 5G networks will be far faster speeds and shorter loading times on our personal devices. A high-definition movie that currently takes an hour to download on a 4G network is expected to take just seconds with a 5G network. Also 5G networks are expected to be able to manage more data at once — so cell reception issues, say during a major sporting event, caused by too much user traffic may be rendered obsolete. The benefits of 5G extend far beyond our smartphones and laptops, though. Hyper-fast networks could enable a doctor in one country to virtually control a surgical robot on the other, and it could increase the safety of autonomous vehicles by allow them to communicate with one another more quickly. 5G may arrive even sooner than expected, too. On February 25, 2018, Nokia’s Chief Executive Rajeev Suri told Reuters that his company is accelerating their 5G plans, with the first commercial roll-outs expected in 2018. Both AT&T and Verizon will begin offering customers 5G networks this year too. If the FCC’s impending auction goes ahead as planned, 2019 may be the year the 5G revolution begins in earnest.